EgressWindows.com is a big supporters of the notion of safety first. That is why we want to create awareness of National Safe Digging Month. April is the time of year many homeowners are venturing back out into the yard to do projects. 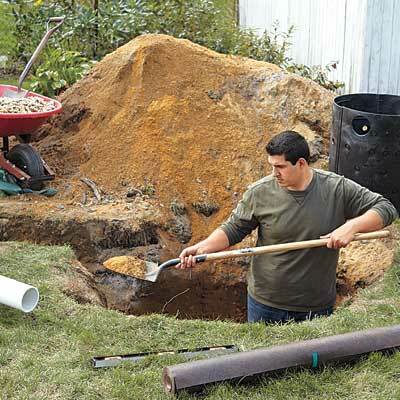 Before you pick up a shovel and start that project by digging, ask yourself; what is under there? Are there power lines? Gas lines? Communication lines? Water lines? Sewer lines? The list of potential hazards just under the surface are many. There is a free service that can help you. 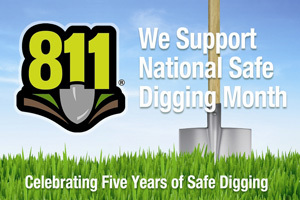 A few days prior to digging simply dial 811 from any phone, anywhere. Tell the them your address, where you are planning to dig, and what type of work you will be doing and they notify the local utility companies that may be affected by your digging. Someone will be sent out to your location to identify and mark the locations of the underground services. So you will know what’s down there and are able to dig safely. And once again, it is a free service! Do it.